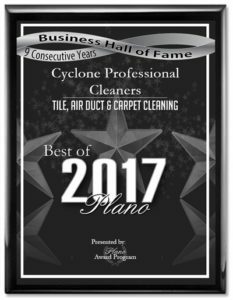 At Cyclone Professional Cleaners we offer a wide variety of cleaning services and we care about you and your business by using healthier methods, products and equipment. 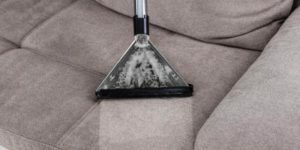 Carpet and rug cleaning is a major part of having a clean home. Our truck mounted steam cleaning system is the superior way to remove the soil that gets trapped down deep. Keep the people and pets in your home happy with clean and fresh carpet. Tile and grout will look like new after our cutting edge tile and grout cleaning process. No more scrubbing on hands and knees to get the dirt out of grout. We also polish marble and wax & buff commercial flooring. 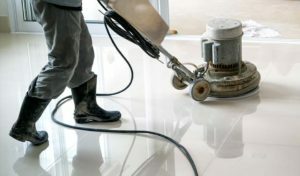 Marble, granite and stone polishing restores the beauty of floors, countertops, backsplashes and bathrooms. 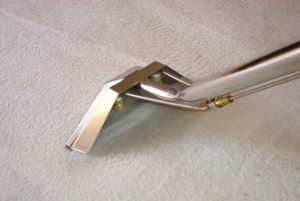 A clean smooth finish is gained by our thorough cleaning and polishing. The surface is then sealed with penetrating sealer. Wood floor cleaning and buffing will remove sticky build up and dirt embedded in the floor. It removes footprint marks, leaving behind smooth wood with no residue. Vinyl and linoleum cleaning removes old wax, ground in dirt and scuff marks. When the vinyl is clean, fresh wax can be applied and maintained. Air duct and dryer vent cleaning help reduce indoor air pollution. Mold and dust collect in your home’s heating and cooling system. We open and clean all parts of the system to improve the quality of the air you breathe. Furniture and Upholstery cleaning restores the beauty of your furniture. Do not replace your comfortable pieces, preserve them with steam cleaning. Prevent stains from setting in with fabric protector. Power washing removes grime and mold from many surfaces. Renew your home’s exterior, the deck, fence, gazebo, a driveway, walkway, boat or RV. Gives almost any surface a safe facelift. Window washing for hard to reach windows. We can have you looking through crystal clear glass. 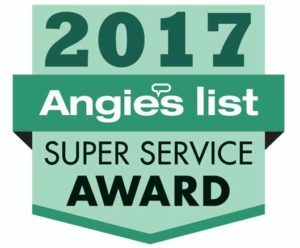 Indoor and outdoor window cleaning for homes and businesses. 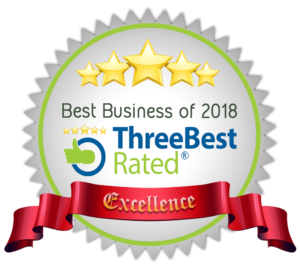 Commercial and retail cleaning for windows, commercial carpet, ceramic tile, linoleum floor strip, wax & buff, wood floor cleaning, marble & granite polishing, restroom cleaning and caulk repair.